Excellent service and attention, I highly recommend them to anyone who is looking for excellent quality trailers. Welcome to RPM Trailer Sales! Hi, Welcome to RPM Trailer Sales! We are glad you stopped in for a visit. 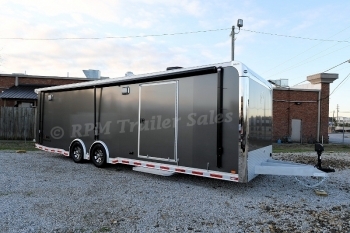 RPM Trailers is your premier source for custom aluminum trailers and stacker trailers. 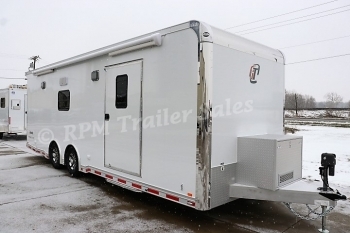 RPM Trailer Sales also offers a variety of utility trailers, motorcycle trailers, race trailers, and cargo trailers. We will deliver locally or ship nationwide, as well as international destinations. 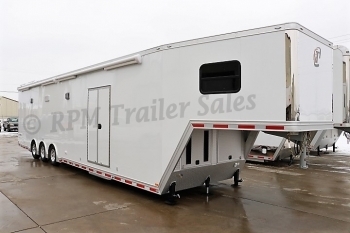 RPM Trailer Sales places special emphasis on value. Our product lines are the highest quality, built to be functional, stylish, and very affordable. We sell trailers, service trailers, repair trailers, maintain trailers, store trailers, build custom trailers, and offer a full line of trailer parts and accessories from established suppliers. Call us for professional advice, support and service at 1-877-776-8812. Or visit our Georgia Trailer Sales Location and experience the RPM Trailer Sales difference when purchasing your next race car trailer, custom aluminum trailers, utility trailer, cargo trailer, or any other trailer you may be interested in. 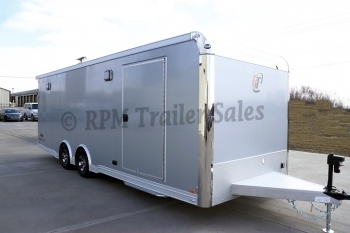 You will find new and used trailers for sale at RPM Trailer Sales. We are open 6 days a week to serve you and 24 hours a day at www.rpmtrailersales.com. We stock a full line of aluminum trailers, race car trailers, motorcycle trailers, stacker trailers, and offer custom aluminum trailers. We also offer a variety of cargo trailers, utility trailers, equipment trailers, toy haulers, and living quarters trailers. You can pick up your trailer at our location, the manufacturers location (with factory direct trailer prices), or have the trailer shipped directly to you. If you can't find exactly what you are looking for, don't forget, RPM Trailer Sales specializes in custom built trailers. We would like to thank you for visiting us here at rpmtrailersales.com and we look forward to talking with you and or meeting you in person. We hope you enjoy our website. 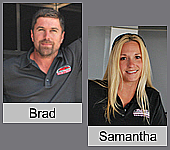 We are family here at RPM Trailer Sales and we want you to become part of our family. We encourage you not to settle for a trailer, but actually get a trailer that works best for you. You will not be a number here, you will be a satisfied customer. You can contact either of us, and we will be happy to personally assist you! This incredible 24’ aluminum inTech car hauler has a little bit of everything under the roof. Featuring the our popular full access escape door, getting out of your car couldn't be any easier! The L-base cabinet design with generator compartment, 50-amp electrical package. It also includes a section of overhead cabinets, rear spoiler with LED Loading Lights and so much more. 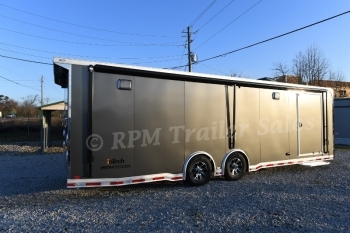 This amazing 26’ Custom inTech Aluminum Race Car Trailer with Full Bathroom Package gives you all the great features of our popular race trailer packages with a little extra luxury. Step inside to a new world and check out all the details of this 26' race trailer loaded with features, ready for your next event. New 28' inTech Aluminum Stacker Trailer loaded with custom features including a Bard AC, 10KW Onan Diesel Generator Package, Custom Cabinet Package, Single Sliding Side Glass door and so much more. 28' Premium All-Aluminum inTech Race Car Trailer loaded with features including Electrical, Cabinets, Air Conditioning, Rear Spoiler and more. 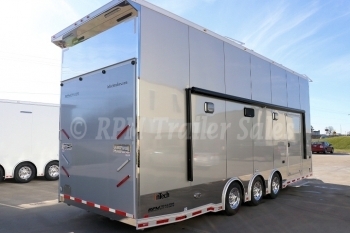 Step into the ultimate aluminum race car trailer designed by RPM Trailer Sales. This 28’ custom inTech trailer offers distinct customization for the luxury cars, race cars, show cars, intriguing toys, and the highly sought-after ease of use. Loaded with option this 28' race car trailer is in stock and ready for delivery. 44' Gooseneck Race Car Trailer with Bathroom Package, Custom Cabinet Package, C-Tech Tool Chest, Observation Deck, and so much more.